3-10Liter Bottle Water Filling Machine can be used to fill all kinds of 3L,4L,5L,6L,7L,8L,8L,9L,10L bottled water, It collects washing, filling and capping together. 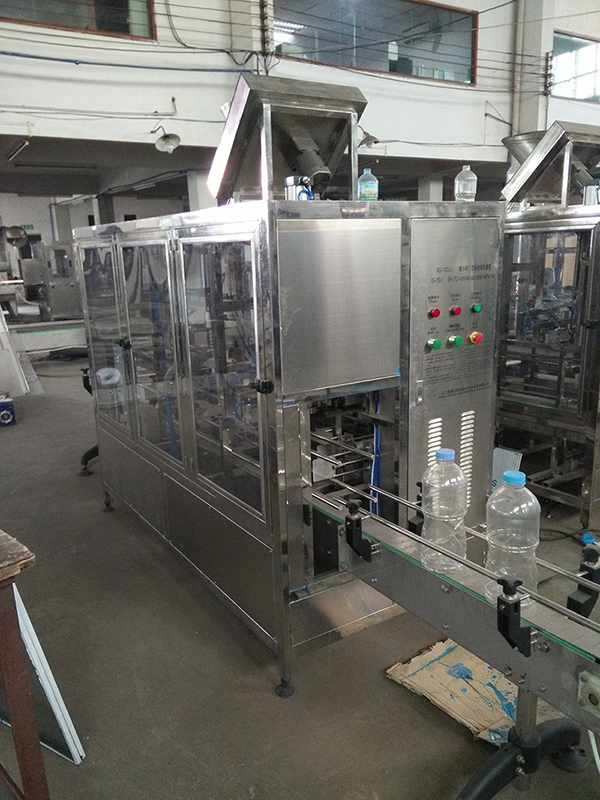 3-10Liter Bottle Linear Rinser Filler Capper Machine is high-automatic, operation reliable and convenient.It is aerodynamic and controlled by PLC. All filling heads working at the same time. It has bottle-gripping device to make sure 100% filling accuracy rate. It also has intellectualized protection programme control. It is pressure filling and do no have any special requirement to user’s tank. It adopts closed type liquid tank and fixes with liquid level control system.